With Knowlton being such a central village in the Eastern Townships we have the benefit of being close to a number of bsuy centers featuring art and entertainment. Sutton is so close and yet has a wonderfully distinct ambiance and anyone visiting Knolwton shouldn't miss the chance to visit Sutton. Now on in Sutton until August 19, the Arts Sutton Gallery will showcase the work of Hélène Coulombe and Suzanne Reid. Hélène Coulombe is exhibiting Debout (ou La vie crue), a series of paintings using acrylic on canvas. Coulombe’s recent work aims to draw attention to the temporary and fleeting phases of the act of creation. "I’m interested in the notion of movement and the effort required to take action … to create and to overcome inertia". 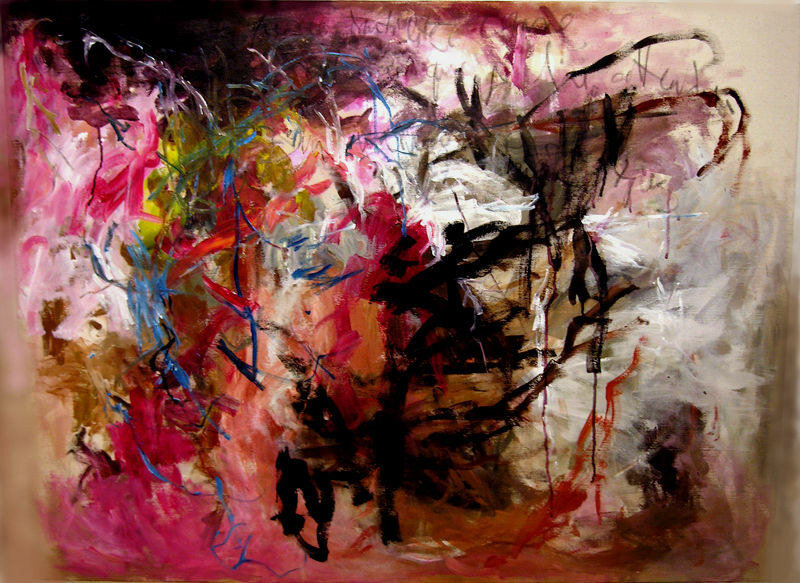 In addition to painting, Hélène Coulombe works with mixed media and video. A native of Shawinigan, she held her first solo exhibition in 2002. Suzanne Reid is presenting Traces, a collection of refined prints created using woodcuts. 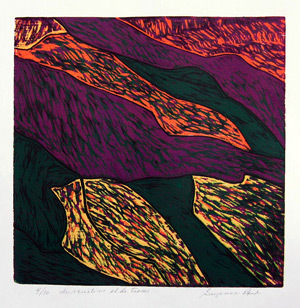 In the 1970s, Quebec experienced a renaissance in the field of contemporary printmaking. Reid draws inspiration for her work from master printmakers such as Albert Dumouchel, Richard Lacroix, Pierre Ayot and René Derouin. In addition to her prolific pace of production, Reid has spent more than 20 years promoting and disseminating Québécois engraving at home and around the world. She works in Rigaud and in Montréal . Curators: Yves L.-Ph.Cousineau and Jules Arbec. The Arts Sutton Gallery is located on rue Academy in Sutton and is open Thursday through Sunday from 11 a.m. to 5 p.m.
Also of note at the Sutton Gallery: On June 30, 2007, members of Arts Sutton present at the organization’s Annual General Meeting elected a new Board of Directors. The Arts Sutton Gallery is a non-profit organization whose mission is to promote the visual arts and visual artists who work in this region and elsewhere in Québec. Yves L.-Ph. Cousineau will continue to act as Chairman of the Board, assisted by Clément Richard as Vice-Chairman. Other seats are held by Claire Adamczyk, Huguette Bernard, Giorgio Fontana and Val Girard. As well, the Board is pleased to welcome three new members: Lina G. Allard as Secretary, Françoise Guenette as Treasurer, and Serge Trudeau. Lina Allard has held a number of management positions within Radio-Canada in the television news sector, and in 2001 she created the ARTV television channel. Françoise Guenette has acted as Vice-President – Communications and Public Relations for a number of major corporations. Mr. Trudeau is a Corporate Director and sits on the Board of various corporations. Photo courtesy of Claude Dagenais. 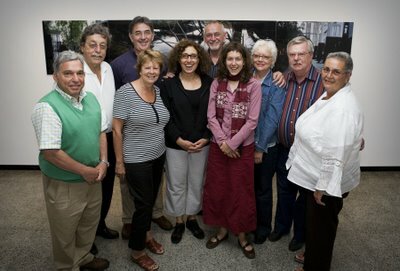 The new Board’s objectives are clear: to aim for excellence and to continue to enhance the Gallery’s activities. This year’s programme includes 10 exhibitions and a number of workshops and presentations. The Gallery is also organizing its annual Casino fundraiser to be held on September 15 at the Auberge West-Brome. Details of this event will soon be made available. The Arts Sutton Gallery is open Thursday through Sunday from 11am to 5pm. Entry is free! Individual memberships cost $36 per year and family memberships are $48.